All the event management and registration tools you’ll ever need to run a successful event for your nonprofit. What if you had an army of robots to do all the grunt work for your events? This isn’t science fiction: this is the reality of many event managers. Instead of manually processing registrations, running checks to the bank, or trying to keep track of everything in Excel, they’re using event management software that acts like a robot to do it all for them. There's event software for nonprofits that can do almost anything you can imagine for your events, like helping you create beautiful event invitations, updating your event’s social media, or managing registrations automatically. 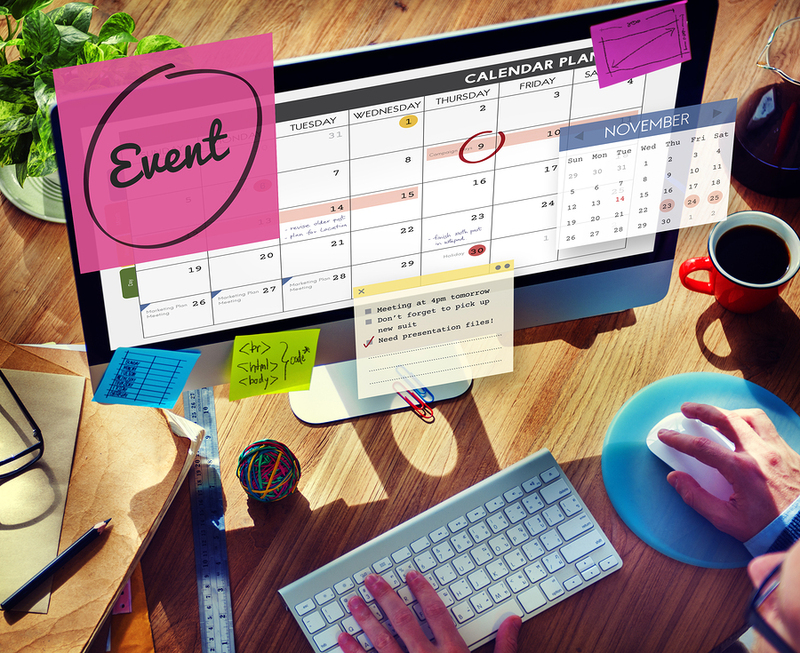 Ariana Stecker, a leading expert in the event planning world and the Chief Operating Officer at Save the Date®, an event planning company, says that the top event managers are the ones who leverage technology the most. For example, she’s seen clients easily raise 20% more funds from their events simply by using software tools to enable online event registration and bidding. She further points out that technology not only makes things easier for event managers, but creates a better overall experience for guests too. If you’re looking to raise more money and make managing your events easier, read on! There are many great options available for any type of organization. Wild Apricot is the #1 rated event and membership management software used by over 20,000 organizations. Along with event management, Wild Apricot offers a complete all-in-one platform to create a website with online registration and payment, a fully searchable contact database, mobile event registration through the free app, and an emailing system with professionally designed email and newsletter templates. Start your free trial of Wild Apricot now. In just an afternoon you can have a full website and event calendar setup to begin registering event attendees and processing online payments instantly. If you'd like to compare more options, below is a list of 31 more nonprofit event management software solutions that can help make managing your events easier. It’s my hope that you discover one or two new tools that are perfectly suited for your organization’s needs. I’ve sorted everything alphabetically, and made it easy see how much each tool costs and what it does. And, if you’ve got an event coming up soon, make sure to download our must-have Ultimate Event Planning Checklist for associations and clubs! Create and customize user-friendly registration forms with all the options you could ever need, such as contact fields, feedback fields, quizzes and polls in just minutes. You can start with their free form templates or you can start with a blank form. No coding skills required. AllSeated is a free event planning tool that enables event professionals to easily design floorplans, manage guest lists and meal preferences, organize event timelines, and preview their layout in stunning 3D. Using AllSeated, event professionals can collaborate with their vendors and clients efficiently and effectively, delegating tasks and updating everyone in real-time, allowing them to save countless hours on every event. With online event registration, reporting, CRM, fundraising, billing and more, Amilia is a complete event management tool for any organization. 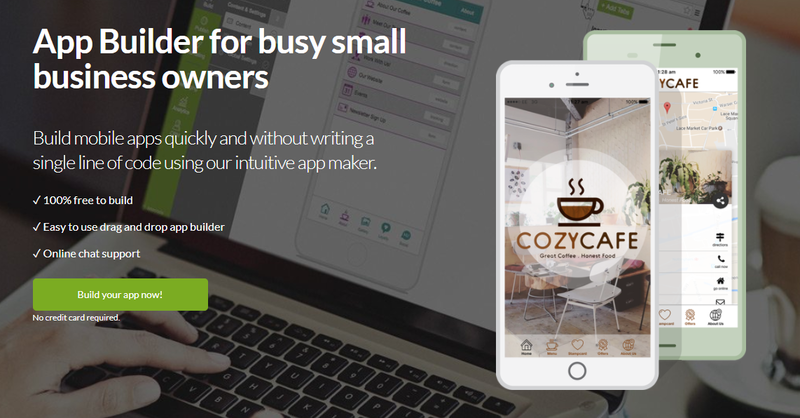 AppInstitute is an all-in-one app builder that makes it easy to create an app for your next event. Features include an event calendar, directions, push notifications, online payments, social media integration, and more. Along with events, you can use AppInstitute to build any sort of app you'd like for your organization. ASAP is a turnkey online scheduling and event registration tool, designed for communities, schools and businesses to manage their events and classes. It features a free recorded demo and free trial. Bizzabo is an all-in-one event platform that helps organizers create successful events by empowering them to build amazing websites, sell tickets, grow communities, go mobile and maximize event experiences using a beautiful, user friendly platform. Brown Paper Tickets offers a wide range of services beside easy-to-create and print event tickets. Some of their services include free custom seating charts, barcoded mobile tickets, donation tracking, and fully customized event pages. etouches is a robust online event management service that simplifies registrations while helping you to plan, market and manage even the most complex events. It integrates with SalesForce.com, Cliqbook, Pathable, and other services. Free Trial. Event Lead is a full event management software offering event creation, online registrations, an emailing platform, and many other options like printable event badges. Event Wizard gives you all the tools you need to quickly create and launch online event registration for your nonprofit. No annual fees, no sign-up fees, and no contracts to sign - pay only for what you use. Eventbrite for Nonprofits lets you set up an online registration page for your event in minutes. Then, take advantage of Eventbrite's promotional tools to send email invitations or publicize your event on social networks. Their free event registration app lets you manage your event and check in guests, anywhere. Easily create an event registration app, and an app for your event attendees, with EventMobi. Their Content Manager gives you the control you need to customize and update your app on the fly. Features include in-app sponsorship features, personalized profiles for attendees, in-app chat, unlimited users, and full analytics. Eventzilla offers a complete event registration and ticketing platform for classes, conferences, fundraisers, social events and more. Features include barcode ticket scanning, box office management, print-at-home tickets, mobile ticketing, and reserved seating options. Evite lets you create and send an online invitation for any event in just a few steps. They offer hundreds of templates to choose from, plus many additional features including polls, gifts, photo sharing, RSVP tracking, and comments from guests. Formsite is an online form builder that lets you create secure and awesome web forms, order forms, and surveys with just your browser. Start a 14-day Pro Trial or open a Free account today. Free Event Ticketing platform offering a better way to promote and sell tickets to fundraising events. 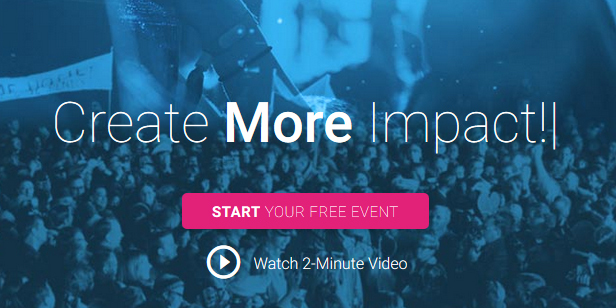 Unlimited Event pages, streamlined user experience, absolutely free. Give Lively's Free Event Ticketing platform offers a better way to promote and sell tickets to your next fundraising event. Users can create unlimited user-friendly pages with custom ticketing and sponsorship tiers for as many events as you want. Attendees can quickly purchase tickets, share your event, and get directions on any device — all without leaving your page. As part of Give Lively's Forever Free Pledge, nonprofit members get unlimited, free access to Event Ticketing. Event Ticketing seamlessly integrates into all features of Give Lively's fundraising platform. Schedule all your event promotions on social media in advance with Hootsuite. It integrates with all your social profiles like Twitter, Facebook, Google+, YouTube, Instagram, Wordpress and LinkedIn. Monitor your social accounts and easily see what others are talking about. ImpactFlow has everything you need to create, sell tickets for, manage, and promote your events. Features include customized ticket pages, full event analytics, a nonprofit sponsor matcher, and a social media amplifier. Plus, it's free event management software for free events. LiveTweetApp is an online solution to help you search, moderate and beautifully display tweets on a (big) screen to increase social interactions during your events and conferences. It's great for giving event sponsors more real estate. Features include control over how your Twitter Wall is displayed, television broadcasting, and mobile optimization. Free trial. Meetup is the most popular online event creator with nearly 500,000 meetups created every month. Easily browse meetups in any location in any category, or create your own meetup and start inviting people. Pricing is based on event type. Choose from pre-designed templates and set up your website for any type of event in minutes with MyEvent. Add photo albums, countdown timers, polls, and connect your social media accounts. OpenConf is an abstract submission and review management system used extensively by events and journals across a wide set of industries in over 100 countries and by authors and reviewers in more than a dozen languages. The software is available for download or cloud-based, and has consistently received rave feedback for its outstanding support. 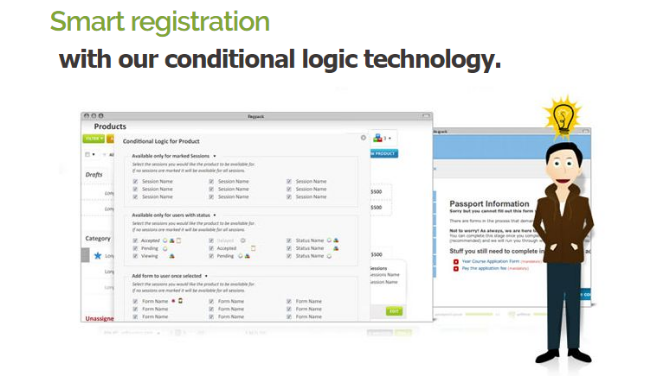 Picatic is simple online event registration software that can be set up in five minutes. They make it easy to build a customized event page where you can add your own logo, cover photo, event poster, text, and more. They also accept a number of currencies including USD, CAD, GBP, EUR, and more — and it's free event management software for free events. Planning Pod is an all-in-one online event management software that streamlines how you plan your events by organizing all your event information in one convenient place. Their application's 30+ easy-to-use tools are mobile-responsive and can be used by your team members to manage attendees, check-ins, budgets, schedules, floorplans/layouts, tasks, checklists, calendars, files, surveys, vendors, sponsors, volunteers and much more. 30-day free trial. RegOnline is a web-based event management solution with powerful functionality. RegOnline offers everything from a website and theme designer to creating custom forms and collecting payments. Regpack's online event registration software enables organizations to register applicants quickly and effectively, while seamlessly integrating online payments and providing a sophisticated yet intuitive user management platform. Features include the ability to A/B test forms and fields, insight reporting, enhanced security, data backups, and integrated payment processing. ScheduleOnce is an online scheduling service that enables all meeting attendees to compare real-time availability and quickly find the best time for all. It was specifically designed to integrate with Google Calendar to prevent double booking. Setster allows you to embed a scheduling widget on your website to show times and services. Website visitors can then request an appointment time, and Setster sends confirmation emails to both parties. It integrates with iCal, Google Calendar, Outlook. Easily create a fully functional event website ready to sell tickets in 5 minutes with TicketBud. Upload photos, descriptions, and integrate your social media and email platforms to generate more ticket sales. Pro version with hosting and support. Individual offer upon request. Discounts for non-profit events. ConfTool is a web-based event management system developed to help you organize academic conferences, workshops, congresses and seminars efficiently. It supports the submission, peer-reviewing and scheduling process as well as participant registration, invoicing and management. Also suitable for multi-track conferences with up to 10,000 submissions. Create any custom event with WhenNow. Promote and share anywhere and manage ticketing and registration on-the-go. Features include social sharing, attendee check-in and full analytics. This online event registration software is perfect for nonprofits on a budget. 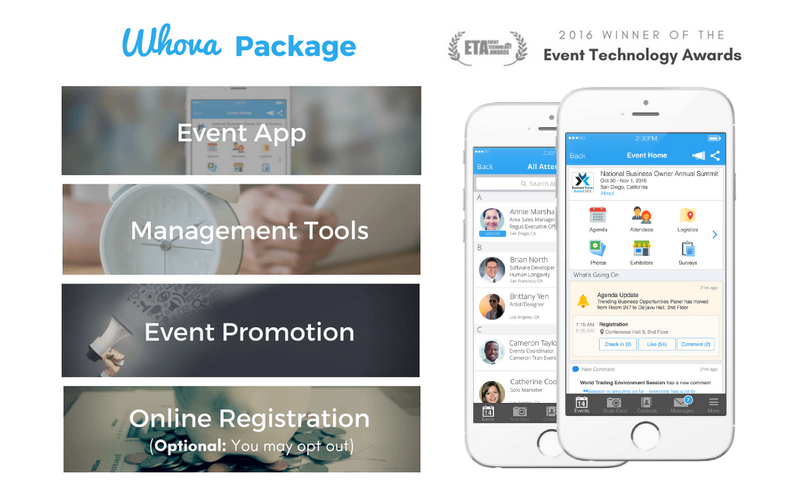 Whova provides an award-winning event management tool to save organizers time and create a modern and engaging event. The Whova all-in-one event management solution includes the Whova event app, powerful event marketing solution, and many other features such as name badge generation, attendee check-in, and program management tools. Accelevents offers easy online ticketing setup and allows you to customize your event page. Sell tickets and sponsorships, as well as collecting attendee information. They also offer mobile bidding, donation pages, and text-to-give software. If you're looking for a complete solution to run every aspect of your membership organization, not just your events, Wild Apricot is for you. Features include event pages with online registration and payments, a built-in emailing system, a drag and drop website builder, a mobile app so members can register for events on the go, and automated member payments and renewals. Free 30-day trial.